Inside: Evaluating your tracking solution, how software cuts costs, apps & maps: must-have features, yard management tips and getting your team on board. Are You Overpaying on Demurrage? Managing a rail fleet is challenging. For starters, your cars can be dispersed on different railroad lines and yards across North America. These cars are generally out of your hands and in the care and trust of others. The ability to track where your cars are at all times, and maintain accurate and timely information and historical data on cargoes, destinations, ETAs, and documentation is vital to your success and profitability. Railcar fleet management software provides a practical and highly efficient tool for those operating fleets of all sizes. There are several choices out there, representing a wide variety of features and functionality. We’ve created this guide to introduce you to the benefits these systems can offer – and demonstrate how they can make life easier for all members of your team: from the corner office to the yard… and all points in between. 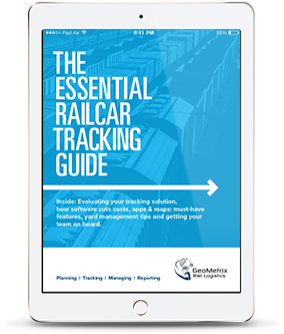 Is it time to re-evaluate your railcar tracking solution? Perhaps you are a smaller shipper who is just contemplating a railcar software solution for the first time. Or, maybe a veteran user who is re-evaluating your needs and exploring new advancements in technology and functionality that is making rail fleet management software more powerful and more indispensable than ever before. Whether you are considering a software-based solution for the first time or re-evaluating a current system, here are some considerations to guide you. Railcar tracking software has come a long way. Today, shippers can choose from a wide variety of rail tracking software solutions, created specifically for managing rail fleets of all sizes: from 25 to 15,000+ cars. While at one time these software-based systems were prohibitive for all but the largest shippers, the costs have come down dramatically. As has the complexity. While at one time you would require an IT department to help run the system, today’s leading systems are extremely intuitive and supported by online help centres. Many are now hosted on the cloud, eliminating the need for an expensive in-house server solution. These systems can vary dramatically when it comes to functionality and performance. The good ones offer a comprehensive range of functionality, while allowing users to use only what they need, and turn off (or ignore) features that they don’t. This way the system can evolve alongside the user’s needs. As your railcar fleet expands, your inability to manage and track your schedules, your cars, your products, and data does too. You realized that your spreadsheet system requires too much work to manage – and the railroad’s tracking system you piggy-backed on doesn’t provide much beyond basic tracking updates. Here are five reasons why moving to a dedicated railcar management software solution makes good business sense. 1. It will make your life easier: Software streamlines the time-consuming tasks of locating and staging railcars and completing rail yard paperwork. What used to take hours can now be accomplished in minutes. You no longer need to rely on incomplete, paper-based notes that are rapidly out of date in order to plan and schedule work assignments. Some systems auto-fill fields to reduce error and omissions. Railyard staff has access to detailed, up-to-the-minute information. 2. You can manage everything in one place: No more rummaging through filing cabinets or hunting down data on multiple spreadsheets or computers. 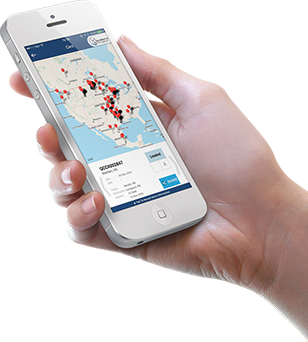 Data on all aspects of your fleet is at your fingertips. This includes information for managing railcar fleets, product transloads, loading, and offloading racks, and the product rail supply chain. You can log maintenance schedules and service records. Many offer advanced functionality for managing rail yards, customs documentation and more. 3. You can make informed business decisions: Many systems offer detailed analytics and reporting features. It lets you keep customers informed. It allows you to better plan future trips – and is a valuable tool for negotiating lease and freight rates with the railroads… or challenging demurrage fees. 4. Full service and support: Don’t be intimidated by technology. Leading software providers will help you implement the system, offer training and ongoing support. If you have questions, they are there to help. 5. Your system can grow alongside your needs: While you may seek basic functionality at first, it is always a good idea to choose software that gives you too much than not enough. As your needs and comfort levels changes, you can take advantage of the full potential of the platform. Migrating to a new railcar management system. Regularly assessing and reviewing your organization’s core software is a smart business practice. Here are three questions you can ask to determine if it is time to explore your options. 1. Is there an opportunity to introduce new technology? Technology is continually evolving – especially when it comes to software. A system that met your needs yesterday may be out of date today. For example, secure cloud-based computing is being embraced as a way to allow all team members to access the system, regardless of geographical location. It also allows you to assign different access privileges based on role and position. There is an increasing call to easily access data via a smartphone or tablet. And app-inspired “convenience” features such as map-views contribute to a modern user experience. 2. Have your needs changed? Perhaps you opted for a system with only basic functionality, and are now seeing a need for a more robust solution (like advanced analytic reporting, maintenance information, or a yard module). Or, you may find your current system is not able to accommodate new users as your fleet or team grows. It is always a good idea to see what is out there and identify any gaps in your existing system. 3. What is the return on investment? It is prudent to review costs on occasion. Your assessment should look beyond simply price, and determine the value equation. Is the software contributing to staff efficiency and productivity? Does it provide analytic and reporting data that can contribute to cost savings in other aspects of your operations? Does it let you better serve customers? These should all be key considerations. It is important to do your due diligence. Compare multiple providers side-by-side. See what features they offer. Ask how many years they have been in business. Find out who else is using their system. Ensure they have a proven track record. Finally, arrange a demonstration to see it with your own eyes. As we mentioned earlier, choose a system that will meet your needs today, and further down the line. Modern railcar management software platforms are not designed to simply record and organize information. They are powerful tools that allow companies to improve productivity, maximize efficiency and strategically reduce costs. Below are seven ways your railcar management and tracking software can positively impact your bottom line. 1. Improve efficiency so you can maintain a leaner fleet: Without proper forecasting tools, many companies will maintain larger fleets than they actually need. Some systems provide reports that allow you to conduct a cost/benefit analysis on individual railcars and track manifest and unit train operations. You can determine if your fleet is being utilized in the most efficient manner, and determine if you can get the same results using fewer cars. Plus, you can know well in advance when cars are due for scheduled maintenance and will be out of service. 2. Greater accountability and customer service: Better management of your supply chain and on-time scheduling can help you earn and retain the trust (and business) of your customers. 3. Reduced fees A software solution gives you the ability to cut back on demurrage, private car storage, and detention charges by having an active handle on all fleet operations. One benefit is the ability to accurately calculate and trace these days and costs at all sites. 4. Dispute resolution: Railroads give you 15 days to dispute their bills. Tracking system makes it easy to vet their bills by matching invoices to your shipment information to ensure they align and you are not being overcharged – or billed twice for the same job. This can be useful in challenging empty mileage equalization charges and demurrage fees from the railroads. Reports make it easy to verify and challenge any questionable fees. Marketers – are better able to access customer account information, confirm delivery, and compare year-over-year sales volumes. Accountants and CSRs – have the tools to provide more accurate invoices, avoid overpayment and challenge disputed charges. Fleet Analysts – can easily review the profitability of entire fleets, sub fleets, individual customer accounts, a geographic region, specific products or supply terminals. Executives – have the power to monitor and assess fleet performance, utilization, turnaround days, trip cycle days and fleet fluidity. Advanced platforms provide the ability to compare their fleet with industry-wide performance, monitor trends, and assess the service levels being provided by railroads. 6. Inspections and maintenance: Systems with this functionality provides an efficient solution for meeting regulated inspection requirements. This streamlines the reporting process between yard and office. Based on trip data, the software can inform you when cars are scheduled to go in for service. Maintenance scheduling allows you to do preventative maintenance and avoid more costly repairs and potential safety issues. 7. More productive staff: Whether it is in the office or the yard, automated reporting, and centralized information allows staff to spend less time hunting for key information and instead focus on mission-critical work that brings value to your operation. NEED HELP CHOOSING THE RIGHT RAILCAR MANAGEMENT PLATFORM? New railcar systems now travel with you. These days, we can’t seem to put our smartphones down. We’re no longer just using them for social media, news, and streaming… but also to connect us to the office and all of its operations. Developers have realized that simply making a website or core software tool scale to fit more comfortably on the smaller, vertical screen of a standard smartphone or tablet is not enough. Instead, they are creating standalone apps that are specifically designed to maximize the speed, accessibility and user experience on a smartphone or tablet. It is a trend that the top railcar management solution providers are adapting as an important part of their product offering. Core functionality at your fingertips. According to Wade Kunnas, Director of Business Development at GeoMetrix Rail Logistics, an app should give users a scaled-down version of the complete system based on the user’s most pressing needs. “Customers still need the complete package of features when they are at the office. But they want to be able to get real-time updates on need-to-know information from their phones. No matter where they are,” Kunnas says. For those tracking and managing railcar fleets, this includes the current location of all cars, the BoL destination, ETAs and load status. The more valuable apps provide the ability to receive notifications – to provide a heads-up if the car is in an alert status (such as a bad order or no car movement). Customers still need the complete package of features when they are at the office. But they want to be able to get real-time updates on need-to-know information from their phones. No matter where they are"
Just as important as the information these apps deliver is the user experience they provide. “We all have apps we absolutely love. But we’ve also come across those we find maddening. The key to a good app is creating a positive user experience,” Kunnas adds. Intuitive design, large text, and the flexibility to easily search and sort information all contribute to the overall user experience. Download speed is also important, especially when the app is accessing and reporting information in real-time. Apps generally run 1.5 times faster on mobile devices, which is a huge advantage. The ability to remotely share information with clients. GeoMetrix designed their Smart Phone App to makes it easy to share information and updates with clients. The user simply has to select a railcar and hit the “share” button to create and send reports to your client. Emails can be sent to multiple users. “Customer service was a definite consideration when we designed our app,” Kunnas adds. Remapping how we use the software. Wade Kunnas says that adding convenient map views is a logical progression for software that is focused on following transportation movements. “Maps just make it so much easier to track the exact location of your railcars in real-time. It’s very intuitive for the user. When evaluating a railcar fleet management system, ask if they have an app. If not, make sure you see how it works on a smartphone. Be sure to choose a system that’s dialed into the future. Analytic reporting gives you peace of mind. Demurrage fees have long been a source of frustration and consternation among railroad customers. Customers are on the clock. If cars are on the railroad’s property for too long, penalties begin to apply. And they can add up fast. Customers often find themselves disputing these charges. Yet without the data to challenge the railroad’s accounting, customers have little choice but to grudgingly pay. Using GPS and RFID technology, modern railcar tracking systems maintain extensive data around the location of its cars at any given time. This provides an accurate record of exactly when a car enters or leaves a yard, and can be used to calculate and verify any penalties. While there are some minor differences, most North American railroads treat demurrage in a similar manner. Demurrage fees are charged when a privately owned car sits on railroad property for too long. This is generally measured between the time of constructive placement to actual placement. It is also charged for extra time involving the use of railroad-owned cars (measured between actual placement to release). Charges may range according to activity (eg. loading versus unloading). Typically, on Class 1 railroads the demurrage clock starts ticking at 12:01 am on the day after placement. Even if you are one minute past, you will be charged for a full day. You have until 11:59 pm to get your car off the yard, or else another day is accrued. In some cases, customers will be granted “free days” that don’t count towards demurrage penalties. It is not uncommon for customers to challenge demurrage charges that don’t match their own records. To dispute a Class 1 charge, you will need to provide a record of the date and times of the order, constructive placement, actual placement, and release. This is made much easier with the kind of detailed reporting and record keeping provided by a comprehensive railcar tracking system. Detailed and accurate information can be immediately generated for any car at any location across North America. Without an automated system in place that allows you to quickly confirm the accuracy of these charges, you can come up against the clock yourself – and miss your window to challenge these charges. 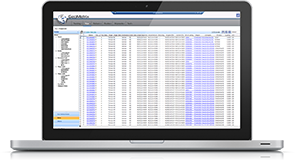 It’s one more way railcar management software looks out for you. Yard management modules are available on some of the more advanced tracking systems. Who are they for? Any company that operates its own rail facilities, including terminals and refineries. No matter how big or small. A yard management module provides schedulers, managers and yard staff with a clear way to direct and coordinate all yard-related tasks from a car’s arrival to its departure. These systems capture the orders, process flow and status updates necessary for every car. They provide valuable functionality that helps streamline the time-consuming tasks of locating and staging railcars and completing rail yard paperwork. And with the right system, what used to take hours can be accomplished in minutes! Office to yard. Yard to office. The big advantage of a yard module is clear communication between yard and office. Car instructions can be shared, and once a task has been completed, it can be immediately updated on the system for all to see. The yard module can be used in different ways by different companies, depending on your workflow preferences. For example, in some instances, schedulers take the lead to instruct crews on which cars are to be loaded, at what location and at what time. In other cases, it is the crews who take charge of updating the system to reflect the work that has been done. It all depends on how you work best. Yard modules should tell you what you need to know, provide up-to-date information, and be extremely simple to use. Having a map view representing the yard gives you a quick way to visualize what is happening on the ground. Symbols and icons can be attached to cars to provide convenient status notes, such as whether the car has a bill of lading attached. Or even if a car is out of service. For example, drag and drop technology, available on some systems, makes it incredibly easy to relocate cars to different spots on the rail yard map. In some systems, yard crews can use handheld scanners to automatically upload car positions and place onto the yard map. Another nice feature is the ability to view cars according to a number of criteria: by spot, assignment, availability, class and more. Choose the functionality you need. Several vendors offer yard management modules with their logistics software, however, functionality can vary. One thing to consider is that not all systems are able to accommodate large yards that may contain upwards of 10,000 spots. Some offer the ability to manage multiple yards and assign access accordingly. Others are designed to work with Process Track Readers or handheld scanners to quickly update car information and location – or even to complete and upload electronic inspection sheets. Like any software solution, the key is to compare functionality and choose a system that meets your current needs while giving you room to grow. Real-time information on delays, maintenance, etc. * For all yard zones, tracks, spots, loading rack positions etc. 5 secrets to getting your team to embrace a rail logistics solution. You can have the best software solution in the world: but if your team is resistant to making the switch, you can face an uphill battle in your efforts to move forward as an organization. That is why it is important to be thorough, transparent and inclusive in your evaluation process. Here are five ways you can get your key team members on board with your efforts to introduce a new railcar management solution. 1. Engage employees and seek their input and insights: Start by asking them what the biggest challenges are with your current system. Find out what they like and dislike about it. Inquire what tasks take the most time to complete. Explain your reasons for looking at alternative solutions and point out key features you think will benefit the organization. Also, be sure to weigh the needs of all user groups. For example, just because the accounting team likes a certain reporting feature, do you risk upsetting yard staff if the new solution doesn’t provide the functionality they have come to rely on? Evaluate a new system based on holistic a big-picture view. 2. Include various team members in product demos before you purchase: Again, it is good to have people representing different roles within the organization take part in a test drive. Often these demos can be done via an online presentation. After the presentation, get their input. Ask for their frank opinions on the pros and cons of the system. 3. Make sure it is intuitive and user-friendly: Choose a system that is powerful but easy to use. Look for a solution that provides an intuitive user interface. It should rank highly in terms of usability (functionality and how user-friendly it is) and user experience (UX). User experience reflects how a person interacts with the system, and it includes factors such as accessibility, performance, design/aesthetics, utility, ergonomics, and overall human interaction. As a bonus, look for useful convenience features such as visual maps and a mobile app that provides alerts. Your people will love you! 4. Customer support, data migration, and onboarding are key: Make sure the software supplier is committed to helping you make the transition between your current system and the new one. The leading solutions use cloud-based hosting, which saves you the time and effort to install software or set up dedicated servers. The software provider should be able to help guide you in migrating data to the new system. Onboarding training should be made available to all staff who will be using the product. In addition, it is important that the provider offers online or telephone support during business hours, with additional 24/7 emergency support. It is also a good idea to have “software champions” within your organization who are fully versed in the software and can act as an internal resource or mentor if questions arise. 5. Offer to send key employees to advanced training workshops: Several of the railcar management software providers offer offsite training seminars where users can dig deeper into the advanced functionality their programs have to offer. It is also a great opportunity to network with other users and compare notes. Inside: Evaluating your tracking solution, how software cuts costs, apps & maps; must-have features, yard management tips and getting your team on board.